Land… that’s where it all begins. Whether it is ranch land or family retreats, working cattle ranches, plantations, farms, estancias, timber or recreational ranches for sale, it all starts with the land. 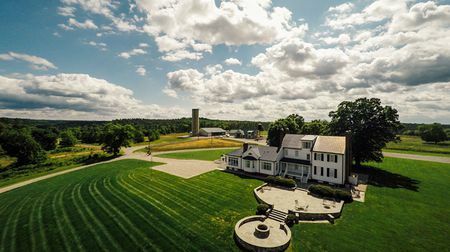 Since 1946, Hall and Hall has specialized in serving the owners and prospective owners of quality rural real estate by providing mortgage loans, appraisals, land management, auction and brokerage services within a unique, integrated partnership structure. Now well into our third generation of operation, Hall and Hall continues to embrace the original principles our founders established back in 1946. A TRUE TEAM - Hall and Hall is unlike the competition in just about every way—but most notably, our unique ownership structure results in a team-based approach that’s not typically found in the real estate world. We all work together in helping successfully connect buyers and sellers, because all of Hall and Hall has a vested interest in a positive outcome. GETTING THE WORD OUT - Our proactive marketing initiatives encompass everything from web and print advertising through public relations and good old-fashioned handshakes. After all, even the perfect property isn’t going to find its way to the right buyer if they can’t find out about it. THE NETWORK - Whether you need an experienced manager, a financing expert, or a buyer who finally understands the true value of your family ranch, our network of personal and business relationships is unmatched in the business. ALL UNDER ONE ROOF - Decades of experience offering an unparalleled catalog of services—including real estate marketing, resource management, mortgage banking and loan underwriting, real estate appraisals, and auction services — lets clients benefit from maximum efficiency and important insight. IN IT FOR THE LONG HAUL - After more than 65 years in business, we know that decisions made now will affect the future of the land, and, in turn, the future of our business. For that reason, we consider it part of our core mission to promote prudent land stewardship, responsible lending practices, a stable, non-speculative real estate market, and a long-term perspective on business and relationships. What does all of this mean? With annual sales reaching over a quarter billion dollars, and always growing and evolving, our goals today echo those of our founders: to give our global client base a more comprehensive, transparent, and far-reaching resource for finding, purchasing, selling, owning, and managing property. 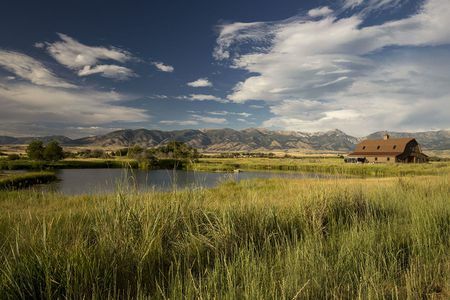 Regarded as one of the finest trophy big game hunting and recreational ranches in Colorado, Big Mountain Ranch is a true sportsman’s paradise. This inspiring 3,549± deeded acre ranch is situated adjacent to the national forest on the west slope of the Flat Tops Mountains, providing a beautiful setting for outstanding improvements and a wide variety of sporting venues. 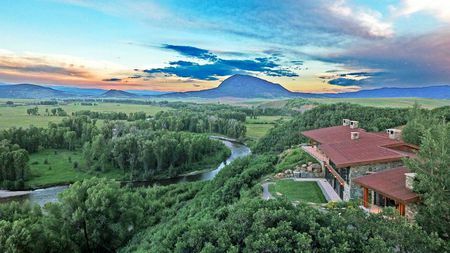 The multi-faceted property encompasses a rich landscape varying from the rolling drainages of the Piceance Creek valley up to the aspen groves, dark timber and lush meadows of Big Mountain at nearly 10,000 feet. 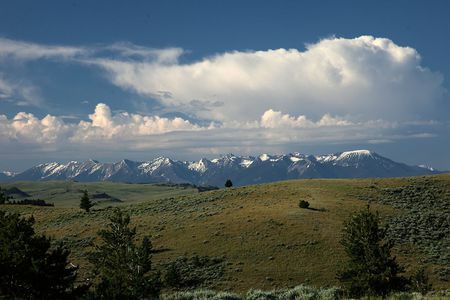 With nearly 10 miles of common boundary with White River National Forest and BLM lands, the diverse topography and vegetation of the ranch results in very scenic views and excellent wildlife habitat that not only support large numbers of elk and mule deer, but draws them from the adjacent public lands. The ranch encompasses historical elk rutting grounds and attracts trophy-caliber herd bulls every year. The luxurious custom stone and log main home and guest house are recently constructed with exquisite finishes and offer first-class accommodations for family and guests. An extensive internal road network and trail system links the improvements and a wide variety of recreational activities for multi-generational enjoyment including numerous trout-filled ponds, indoor/outdoor shooting range, sporting clays course, gaming lodge, snowmobiling, horseback riding, biking and hiking. Located midway between Meeker and Rifle, the ranch is accessible via good roads less than 20 miles from I-70 and an excellent airport. The current owners initially chose this location over a decade ago due to its captivating setting, privacy and wildlife. Over the years they have painstakingly expanded the boundaries and completed extensive improvements to make the ranch the amazing turn-key sporting paradise that it is today. Location Big Mountain Ranch is located in Garfield County on the western edge of the Flat Tops Mountains in northwest Colorado. From its location midway between Meeker and Rifle, the ranch is less than 30 minutes to either town. County Road 252 forms the west boundary of the ranch and provides access to paved State Highway 13, which links Meeker and Rifle, approximately 3 ± miles to the west. 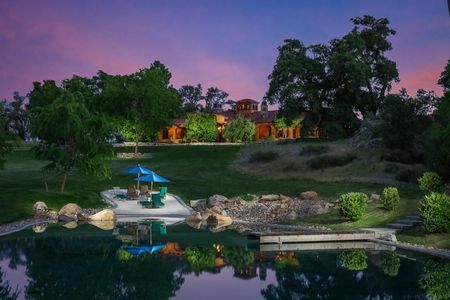 There are a variety of cities, towns and resorts located within an easy drive of the ranch. Meeker, with a population of about 2,400 is the county seat and most populous town of Rio Blanco County. Located on the famous White River, Meeker is internationally known as a premier destination for big game hunting and fishing. Meeker is a thriving community and has retained its culture as a true western town still primarily influenced by agriculture and recreation. Meeker is home to a 6,500-foot jet-capable airstrip. From its location on the Colorado River and Interstate 70 between Glenwood Springs and Grand Junction, Rifle has long served as a commerce center. Today it is also well known as an outdoorsman’s town, providing access for those exploring the Flat Tops, Roan Plateau, Bookcliffs and Battlement Mesa. Rifle is served by a general aviation airport with an excellent 7,000 x 100 foot runway that saw $47 million in upgrades in 2010. Both Meeker and Rifle offer a full complement of services from restaurants and motels, to banks, medical facilities, grocery stores and outfitters. 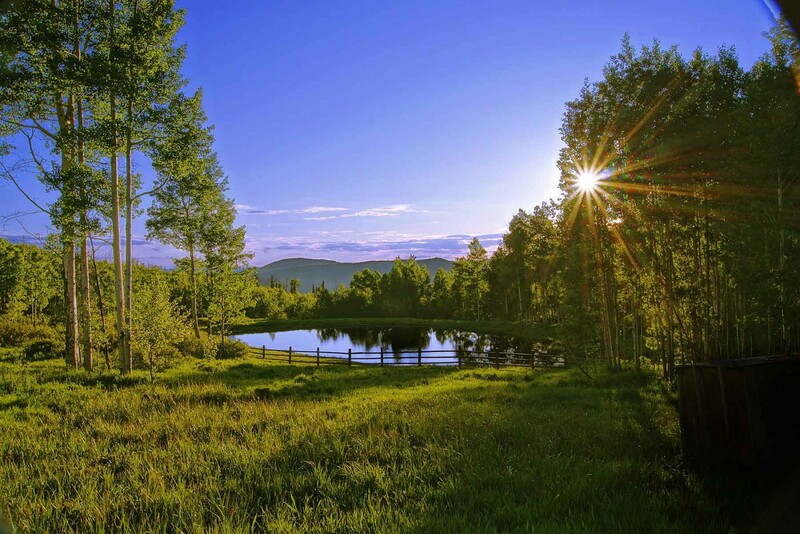 The resort communities of Aspen, Snowmass, Beaver Creek and Vail are all within a two-hour drive of the ranch. In addition to skiing, these year-round resorts also offer a variety of dining, shopping and recreational diversions. From the ranch, it is approximately 45 miles to Glenwood Springs and 85 miles to Grand Junction, the largest city on the western slope of Colorado. Commercial air service is within 90 minutes of the ranch on I-70 either west of Rifle at Grand Junction or east of Rifle at the Eagle County Regional Airport, which serves the Vail Valley. General description Big Mountain Ranch is appropriately named not only because the 9,853 foot summit of Big Mountain Peak is located in the northeast corner of the ranch, but also because the name evokes the kind of majesty that is found on the property. Big Mountain Ranch has incredible diversity of terrain and vegetation within its borders. At its lower elevation of 7,200 feet, lush mountain grasses and colorful brush cover rolling terrain. As elevation increases, aspen and coniferous trees predominate, interspersed with open parks and meadows. The eastern portion of the ranch gains elevation quickly along the slopes of Big Mountain, leading to the property boundary with White River National Forest and the Flat Tops Mountains. Piceance and West Rifle Creeks lie along the west boundary of the ranch. Within the east Piceance Creek basin are numerous ponds, countless springs, colorful hills and fertile valleys, each with their own characteristics. The basin holds impressive numbers of big game and other wildlife species. A county road runs north/south, forming parts of the west ranch boundary and providing access to the ranch. A system of private trail roads has been developed providing good access throughout the property for a variety of activities. While the public roads make for convenient access to the ranch, impact on ranch privacy is minimized due to topography. 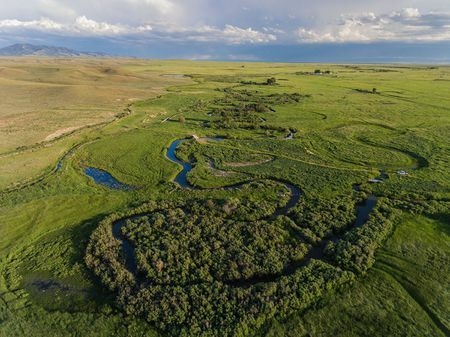 Another very significant aspect of this large holding, which was carefully assembled by the current owner over a number of years, is the fact that more than half of the property joins White River National Forest and BLM lands – a total of nearly 10 miles of common boundary.